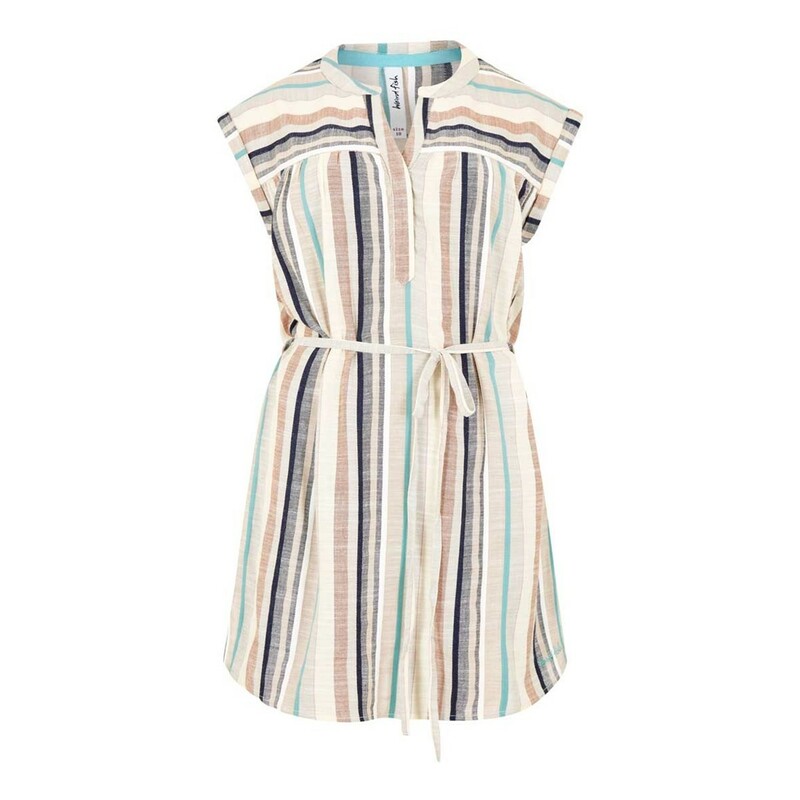 The Latitude woven stripe tunic in light cream features bold, colourful stripes in bright colours and is guarenteed to catch the eye this season. 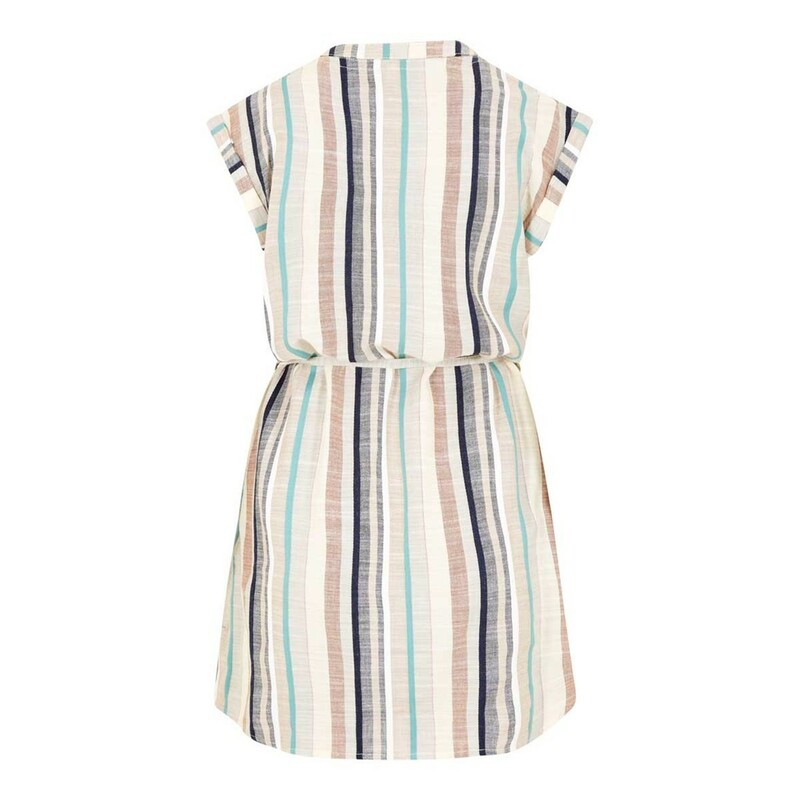 Pretty and feminine, with a belt at the waist to give a more flattering shape, the Latitude tuni is not only stylish but comfortable too, meaning you'll be happy to wear it all day long. 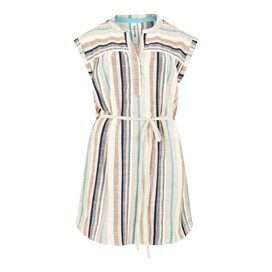 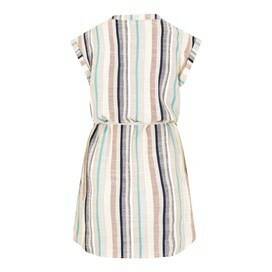 The Latitude woven stripe tunic is mid thigh length, and will be the perfect addition to your summer wardrobe.